Unique, intimate and provocative performance Who would want a mom like mine? is based on a review of various aspects of relations between mother and child, from the perspective of the child as constantly present “critical eye”. The play especially focuses on facing Dalija Acin Thelander simultaneous position as an author and as a mother. The complexity of this situation in life, brings to the stage following questions: When are you a parent, who has the rights to their own life choices: what do you want from friends, careers, emotional relationships, life style …? The author’s decision to produce a play with her daughter speaks of the need to review a mother and child relationship and analyze the ways far away from well-known and safe position and role. 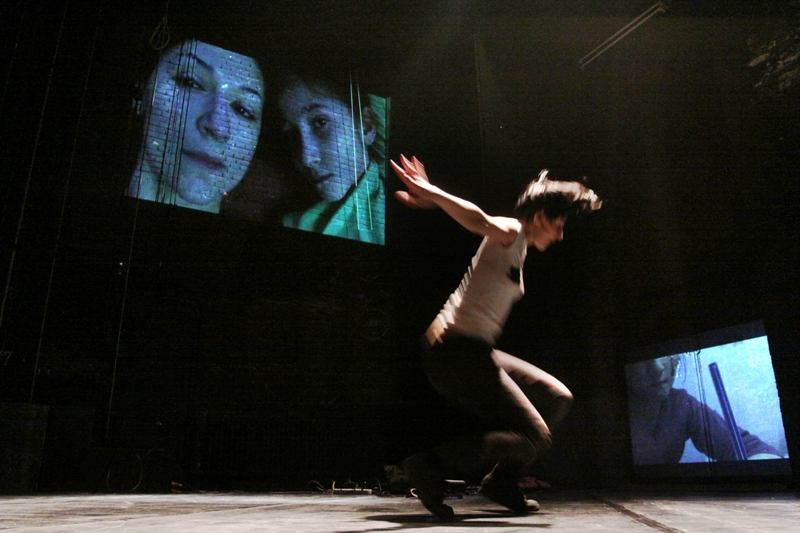 The play is based on documentary material – home video from everyday life of Dalija and Marisa and audio recording of interviews with Marisa about her vision of Dalija as a mother – and, on the other hand, on Dalija’s solo- dance , which occurs independently of their family life. However, the performance is not a documentary. Stage setting means (partial) improvisation, in which Milan Markovic selects raw materials of interviews, setting it as a challenge to Dalija’s dance material. This delegation takes mother / author ultimate control over events on the scene and Marisa’s interpretation of the statement, leaving the possibility of playing with recordings, “desirable and undesirable “statements and sudden compounds of Dalija’s dance and Marisa’s comments.